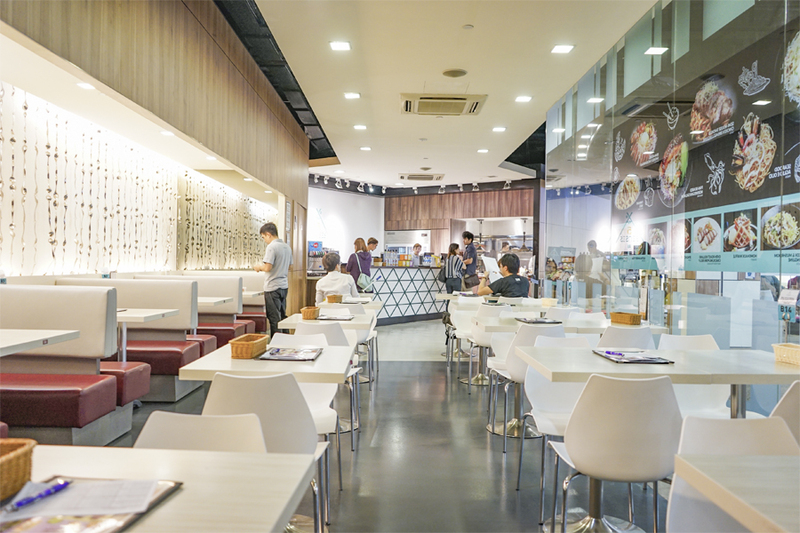 A new wave of ‘restaupreneurs’ have emerged in the recent years, in which they believe that good food can be affordable as well. 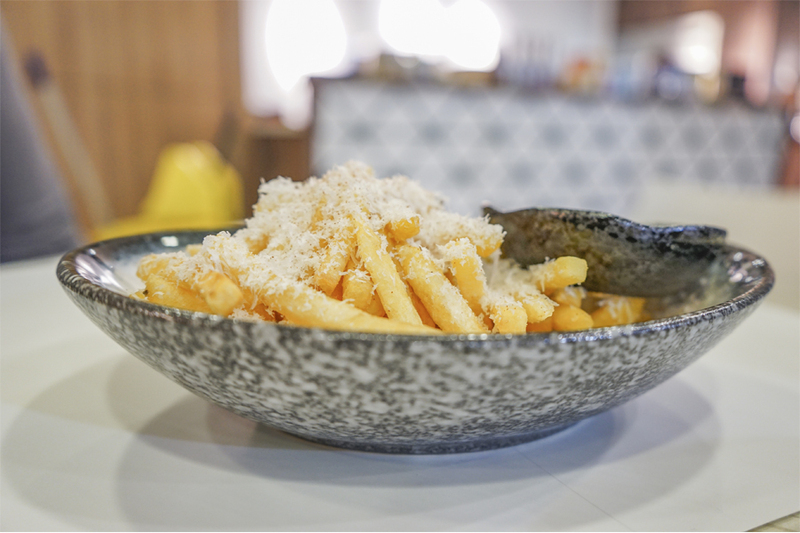 The same can be said for 5 Senses, with most of the mains are below $20, all pastas at $11.90 and below. 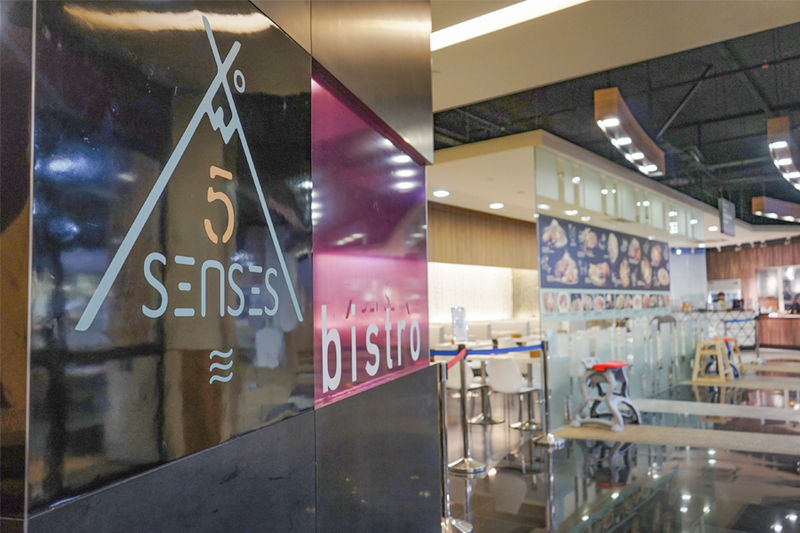 5 Senses, with its first outlet at Bedok Point (not Bedok Mall), has opened another branch within ToTT at Sime Darby Centre, right opposite King Albert Park MRT Station. 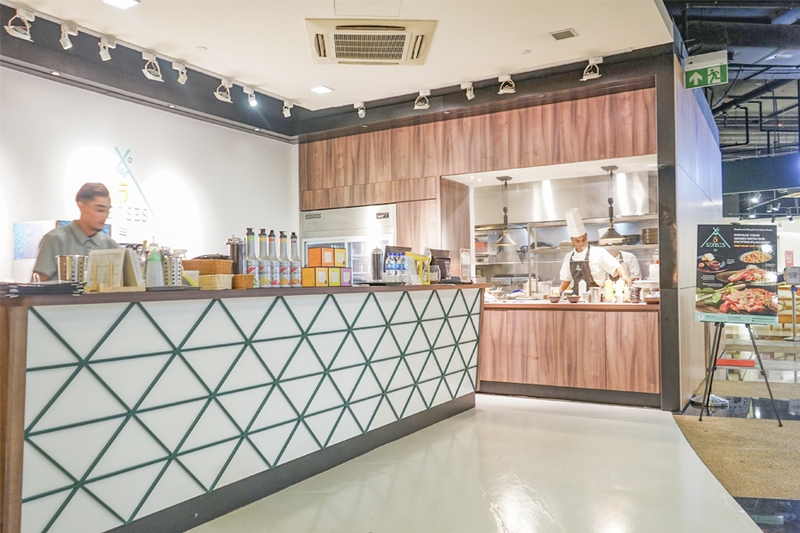 Supported by a team of young chefs, he does have some impressive credentials like Raffles Grill or even Les Amis under his belt. Therefore, it isn’t surprising to see why many French techniques are embodied within how the food is prepared. 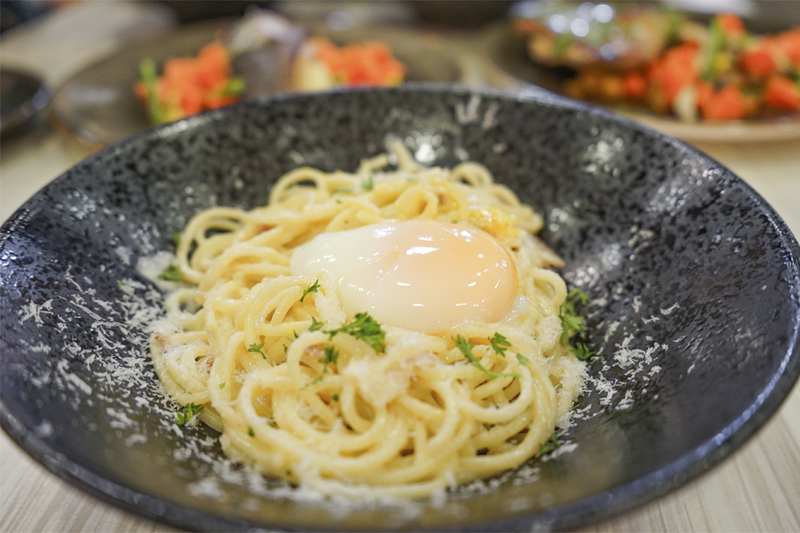 What you can expect include Carbonara with 62°C Poached Egg ($8.90), Seafood Aglio e Olio ($11.90), Semi-House Smoked Chicken Breast ($12.90), Semi-House Smoked Chicken Breast Linguine ($11.90), Confit Duck Pizza ($14.90), Furikake Fries ($6.90) and Chocolate Lava Cake ($6.90). Prices can be considered wallet-friendly. 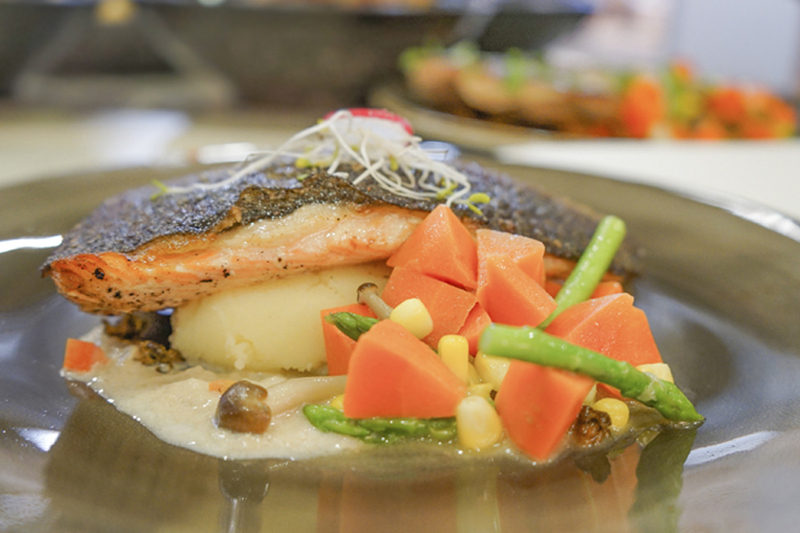 I had the Pan-Seared Norwegian Salmon ($15.90) and the 6 Hours Australian Braised Lamb Shank ($24.90). 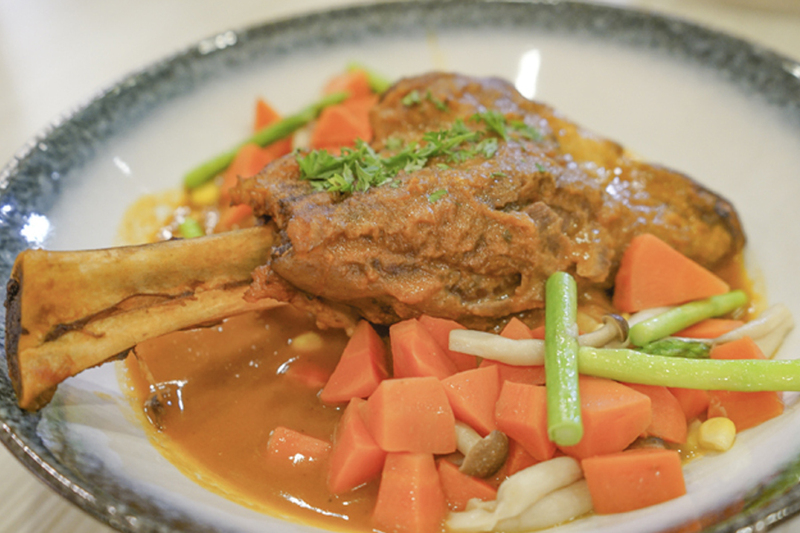 The lamb wasn’t too gamy, and the soft and moist meat was literally falling off the bones, but my table of friends felt that both dishes were a tad bit blend in terms of flavour. 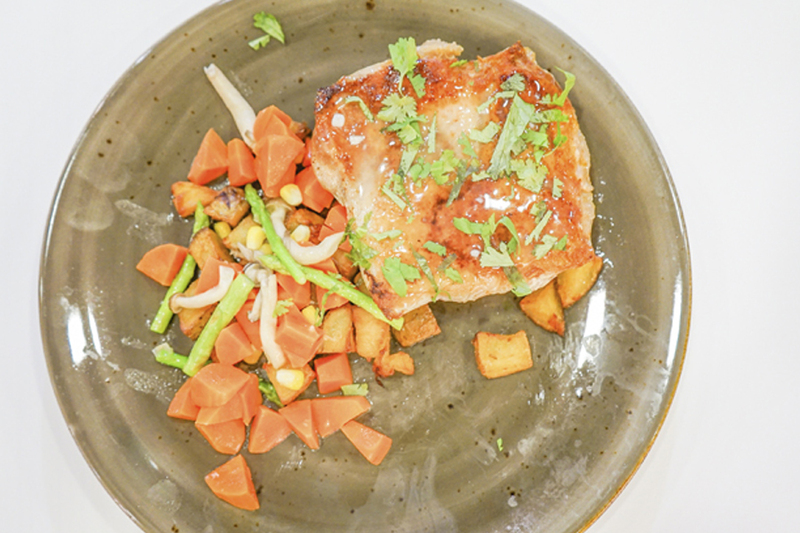 I also had the Cilantro Lime Chicken Thigh ($13.90), though not exactly to my liking, however, I still felt that it was an attempt at trying something different. 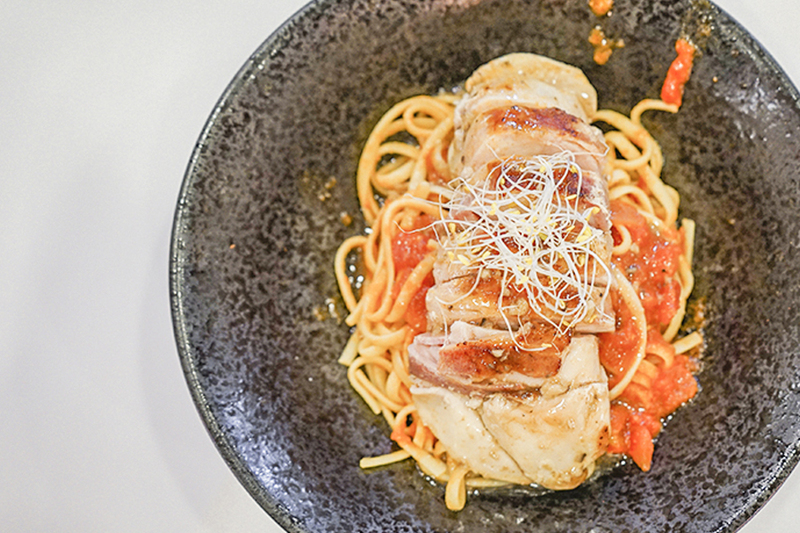 One of the dishes that stood out was the Semi-House Smoked Chicken Breast Linguine ($9.90). The moist pieces of chicken breasts were a treat to the tastebuds with every bite. I was initially quite impressed that the tomato-based pasta sauce was homemade. 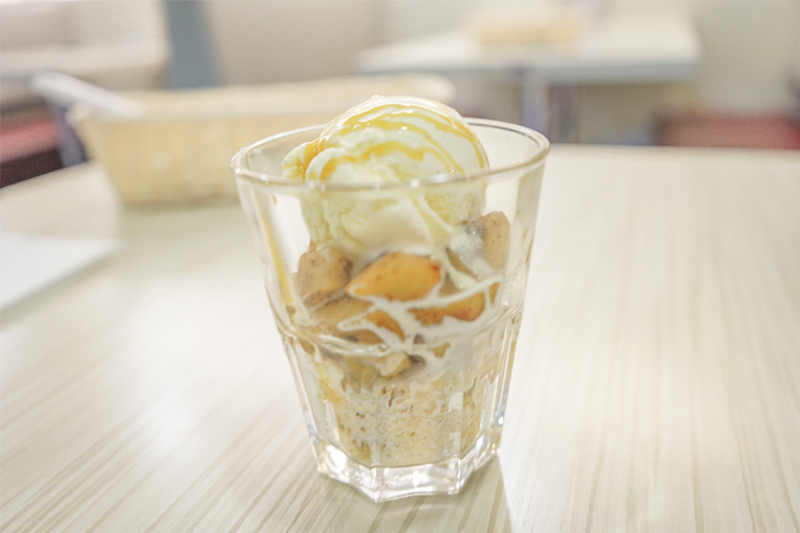 However, some of us felt that the taste didn’t quite match expectations, and was somehow slightly on the sweet side. Another one of my personal favourites was the 150 Days Grain-Fed Angus Braised Beef Cheek ($19.90). The beef was sous vide-d for hours, thus further condensing the flavours within to give that rich, beefy taste that you couldn’t help but grab a mouthful to enjoy that melt-in-your-mouth sensation. 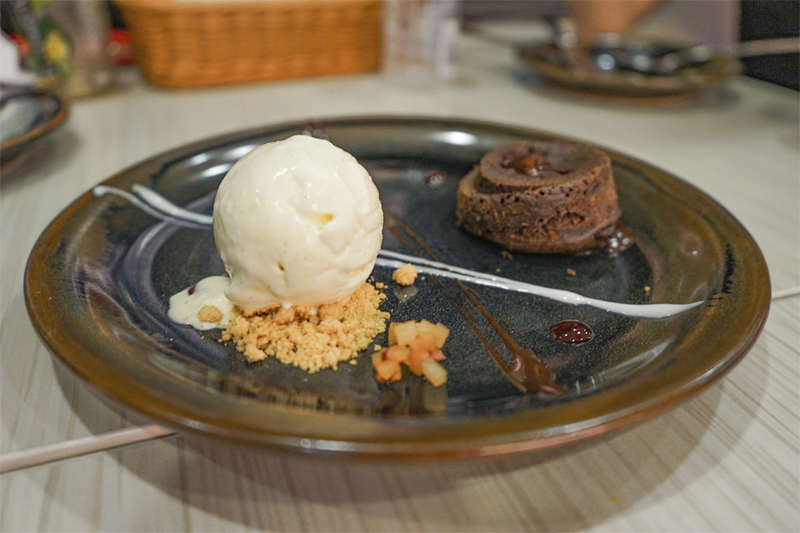 Ending off the meal with some sweets was definitely a plan, as I had the Apple Crumble ($6.90), and the Chocolate Lava Cake ($6.90) – where a friend claimed that she may be able to find something better (than the latter) at a certain 24 hr convenience store. Oops. 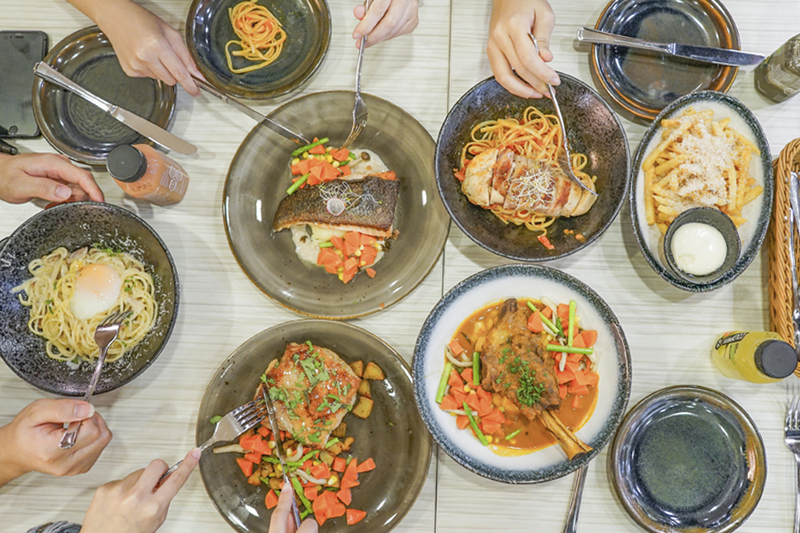 On the whole, due to the restaurant being 5 Senses’ first venture outside of Bedok Point (their first store), there were definitely both hits and misses – some in the areas not under their control. We were sort of rushed to complete our food and payment, then later found out that it is because ToTT (the landlord) closes their doors at about 9:15pm. What you may want to know is that the closing hours can be quite restrictive at 7:30pm from Mondays to Thursdays, and 8:30pm from Fridays to Sundays. 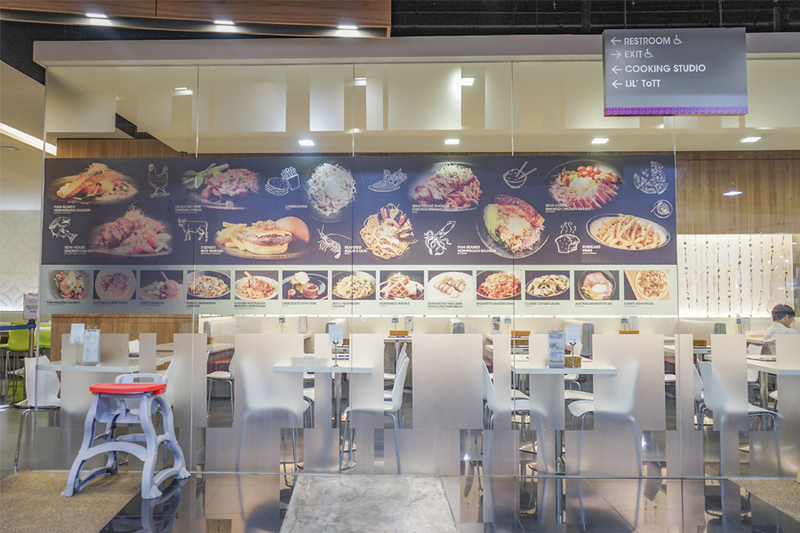 A place for consideration if you are looking for decent, fresh, and cheap French cuisine, served bistro style. * Written by guest (friend) writer Kenny Soon @soonnverysoon, photos by @waitonyou, edited by Daniel Ang @DanielFoodDiary. Daniel’s Food Diary paid for food reviewed unless otherwise stated.